I’m just back from Bordeaux where I tasted and drank a lot of 2011 wines that are now opening up very nicely. 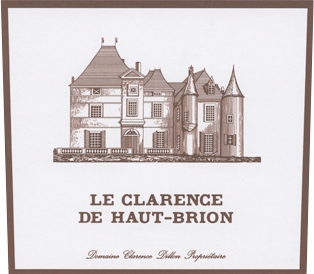 On Monday, April 17th at 7pm, please join me (Spec’s fine wine buyer Bear Dalton) at the Wine School at l’Alliance Française for a Vintage Focus on Bordeaux 2011. 2011 is a “Classic Bordeaux Vintage” which is to say that it allows the typicity and terroir of each very specific place to shine through. 2011 is the sort of vintage that proves Bordeaux’s place as a maker of great wines. Discussion will include details of the vintage and how the wines have developed. We’ll taste through 14 excellent red wines covering all the major appellations of Bordeaux and a couple of value appellations, all from the classic 2011 vintage that is beginning to really show its stuff. Within the context of 2011, we will especially focus on Pessac Leognan, Pauillac, and Margaux tasting second-wines-of-first-growths from all three appellations. This Vintage Focus on Bordeaux 20011 will cost $100.00 per person (Cash or Check) or $105.26 regular. The class will meet at 7pm on Monday, April 17, 2017 at l’Alliance Française. To purchase your ticket, please contact Susan at 713-854-7855 or coburnsusan2@gmail.com. This entry was posted in Bear Dalton, Bordeaux, The Wine School, The Wine School at l'Alliance Française, Wine Class, Wine Event, Wine Tasting and tagged 2011 Bordeaux, Bear Dalton, Bordeaux Tasting. Bookmark the permalink.